We went for another walk, this time near to Pevensey, close to where the Normans landed to invade England – but that was a while ago and they had moved on. My planned circular route was scotched by a group of heifers which had gathered around the gate we needed to negotiate which caused my wife to refuse to enter the field. So we had to go back the same way. On the walk I sat down and did a sketch of the flat marshlands. As I worked a bull strolled into view. Now that is a field even I might refuse to enter. I did this second painting of Litlington and its 12th century church, in East Sussex on the same day as I painted the sketch of the walk in the woods posted on my last blog. It got delayed as I had to finish it at home. I ran out of time on the day, because I had arranged to meet my wife at Alfriston Church at 4pm and didnt want to keep her waiting – I didnt want to to risk walking home. We Walked along the Bexhill Beach in Sussex after an Autumn storm and had lunch at a bar in Cooden. 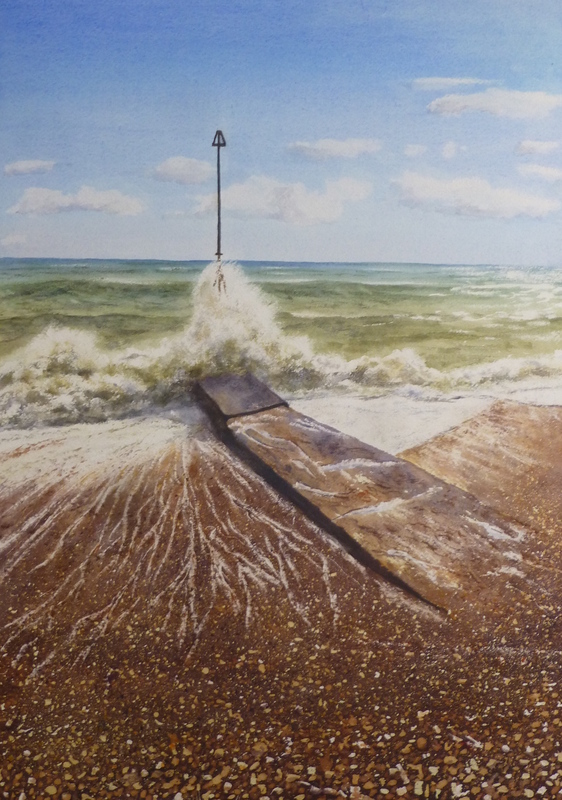 On returning the waves still pounded the shoreline, scouring the shingle as they returned to the sea and the bright sunshine illuminated the scene. A little way further along some kite skiers made use of the stiff wind, racing over the swelling waves as if they were just flat ice. Another view of the Brede valley. 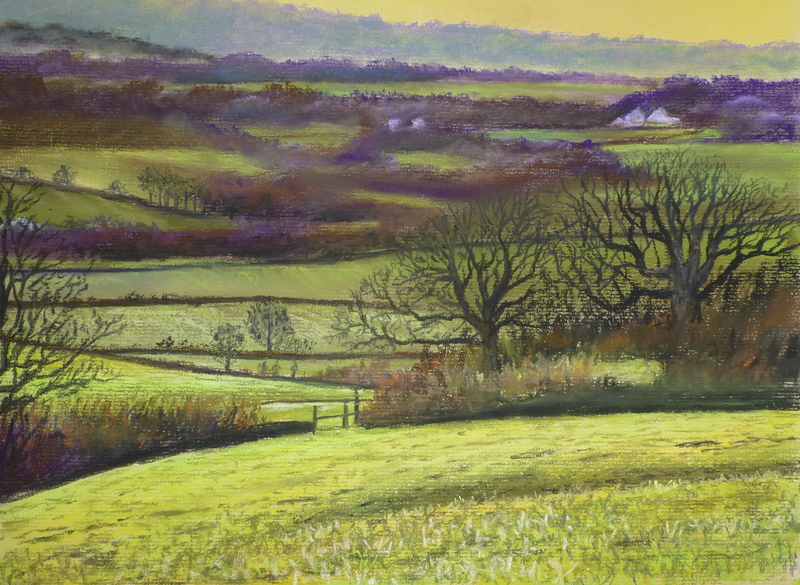 I’m not sure why I find the subject so captivating – perhaps the tiers of vegetation and woodland as they rise in the distance and the way the light catches glimpses of distant pasture. 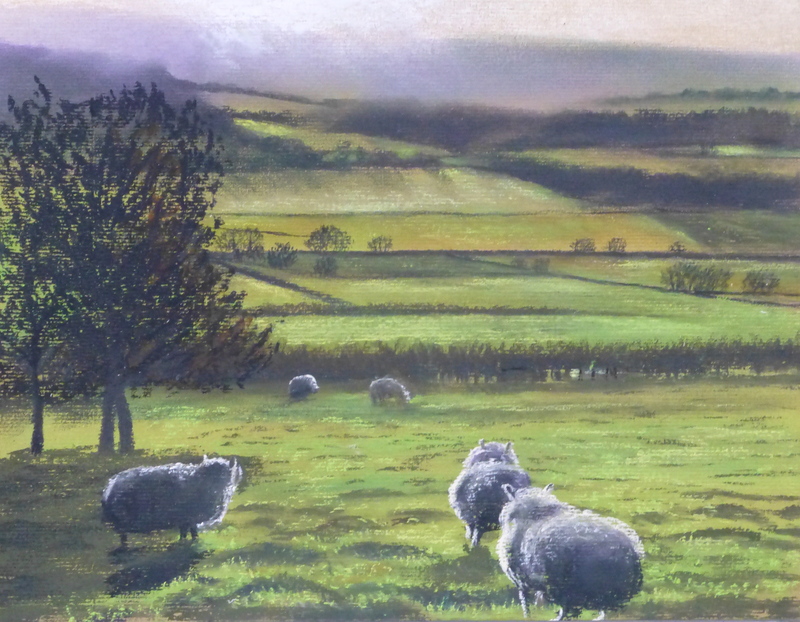 Another painting from the Brede Valley. It was a couple of days before the first painting I did on 6th Jan. We were going to dinner with some friends and were a bit early, so we stopped at Brede Church as the sun was about to go down behind the hills. As I got to get a decent view I scared the sheep. 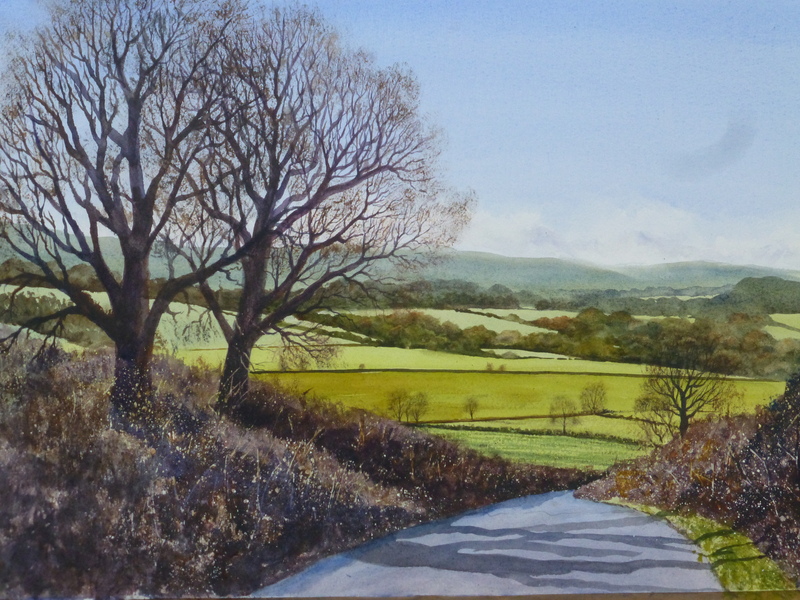 Our hosts told us of a good walk from this point so a few days later, on another sunny day, we set off down waterworks lane from where I did the other painting. Back to daylight working and safer ground. Whilst on the south coast we had a walk along he Brede Valley. It was a sparkling winter’s day and I loved this view into the Brede Valley with the old oak trees standing alongside the road. My great grandparents ran a sanatorium on the hill to the right. It has long been demolished and I now cannot even find the remains in the field.Back up the road on the left, one of my relatives lies in the graveyard, overlooking this scene. Not that it will do him any good, but rather a nice final resting place. I have often walked in this direction in the evening on the Bexhill promenade in Sussex, England. The shapes of the buildings and the masts of the boats in the sailing club make intriguing shapes in the late afternoon light. I tried painting this but the large open space of foreground made it a little lifeless, even with the lead-in of the railings and beach huts on the left. In the end I added some figures. To some extent they seem to have taken over the scene, but I have tried to space them out so that the mass of buildings, masts and reflected light still make for a dynamic painting. This painting is on my website grahammcquadefineart.com. Take a look.